After the success of the last two CABs of Distinction events, launched in 2013 to celebrate and promote cabernet sauvignon and red Bordeaux varietals produced in Paso Robles, California, the PRCC is gearing up for even greater offerings in 2015, taking place in locations across the Paso Robles AVA with enhanced sommelier, media, trade and consumer experiences. The CABs of Distinction Grand Tasting will be held yet again at River Oaks Hot Springs in Paso Robles and will include tastings of 75-plus cabernet and red Bordeaux varietals from 25+ wineries. Enjoy complimentary chocolate tastings, olive oil tastings, honey tastings, personal plates of cheese and charcuterie, and more throughout the day as you listen to live music and lounge lakeside at this elegant event. The CABs of Distinction Grand Tasting is the ideal opportunity to Taste. Celebrate. Discover. 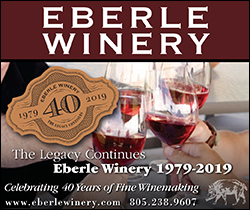 VIP Early Admission tickets are available with entry at 1 p.m. for $90; General Admission tickets for entry at 2 p.m. are available at $65; and all the wine, artisanal offerings, face-to-face time with winemakers and fun are included with your ticket. 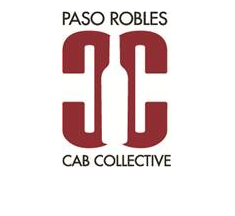 Tickets for CABs of Distinction can be purchased now at www.pasoroblescab.com or at any PRCC member winery tasting room beginning March 1. Members of the PRCC include Adelaida Cellars, Ancient Peaks Winery, B&E Vineyard, Brecon Estate, Broken Earth Winery, Bon Niche Cellars, Calcareous Vineyard, Cass Vineyard & Winery, Chateau Margene, Daou Vineyards & Winery, Halter Ranch Vineyard, HammerSky Vineyards, J. Lohr Vineyards & Wines, Jada Vineyard & Winery, Justin Vineyards & Winery, Le Cuvier Winery, Opolo Vineyards, Parrish Family Vineyards, Peachy Canyon Winery, Pomar Junction Vineyard & Winery, Record Family Wines, Red Soles Winery, Sextant Wines, Villa San-Juliette Vineyard & Winery, and Vina Robles Vineyards & Winery.